Recycling Jackson’s purpose help provide for a clean, healthy environment in Jackson County through recycling. We are a not-for-profit organization and we DO NOT receive any government funding. 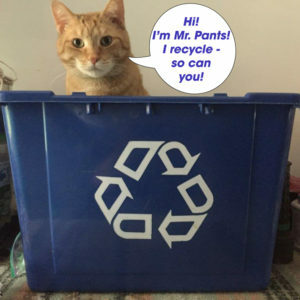 This is why we have fees to recycle certain items. We are located at: 1401 N. Brown St., Jackson, Michigan. Boxboard (gift boxes, cereal and food packaging). Aluminum foil, pans, trays (emptied and rinsed). PLEASE NOTE: Click RJ Updates 2019 for some new rules for glass, batteries electronics and batteries. PLEASE NOTE: LATEX PAINT RECYCLING STARTS IN APRIL. PLEASE MAKE SURE THE PAINT IS NOT DRIED AND THERE IS NOTHING LIKE KITTY LITTER IN IT. 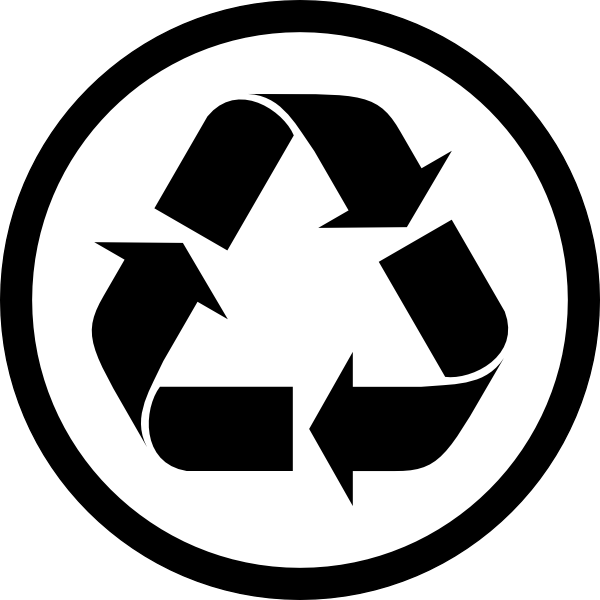 This symbol as shown below means the item was made from recycled materials. It DOES NOT mean it can be recycled. 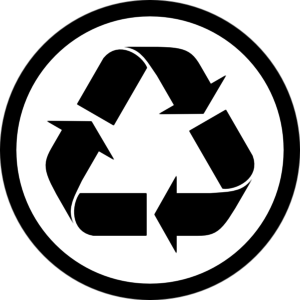 If the symbol has a number in the middle, then it can be recycled.